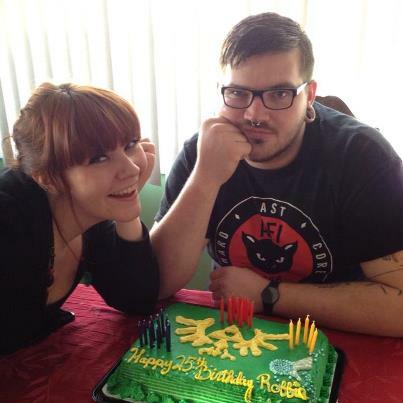 Yesterday was Robbie’s birthday, Michaela. Do you remember that little cuddly baby boy? Here is what you remember him as looking like …. It’s okay, though. Libby has now had baby brothers and sisters herself, so she can completely sympathize with you! Anyway, this is how Robbie looks now. 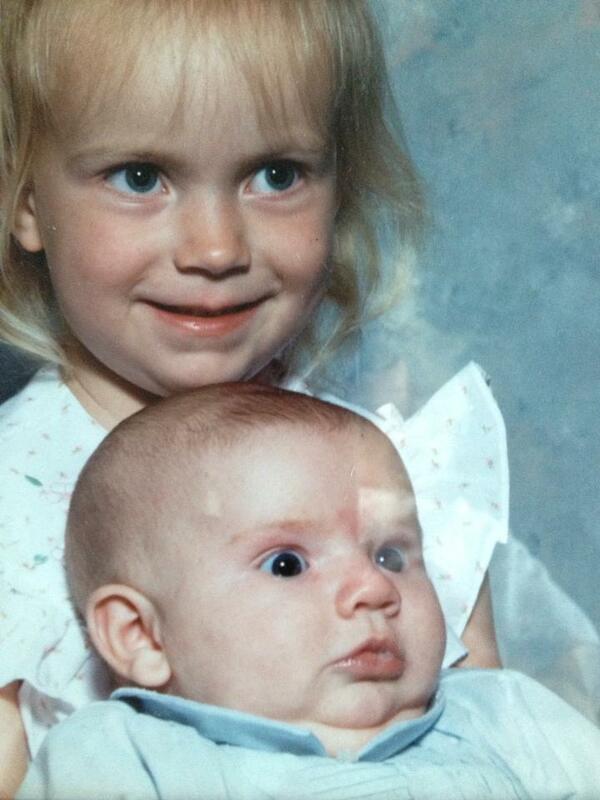 This is Robbie with Johnna, your youngest sister who you have never met. She decorated this cake for Robbie. In case you don’t recognize what it is, it’s Zelda symbols. I wouldn’t have known it myself. So speaking of your baby sister, I just wanted to share this video. It was made by Johnna’s boyfriend, Kane, and is a stop action video featuring his hand and her hand. It is really an adorable idea and so beautifully executed. Well, I want to share it with the world, and with you. Be sure to watch until the very end of the credits…. There is so much I could say here. But it’s hard to find the right words. I will only say that I wish for you the kind of thing that you can see in this video. One more thing I want to share. This is something called a pathtag, which was made at her own expense by a very nice person I have never met, Robin Hardy. These tags are traded worldwide, and Robin created them to help spread your story, Michaela. The picture on the tag is actually a reproduction of one of your drawings. 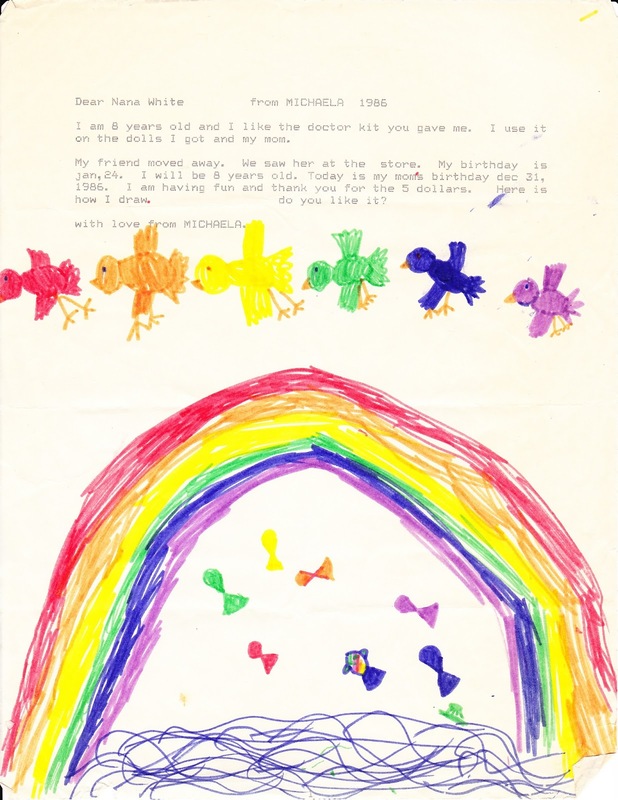 So, Michaela, someone asked in a question on my last blog about your dad. They said you would want to know about him, and whether he missed you. Well, of course he does, Michaela. And so does Alex, and Libby, and Robbie. So does Trina, and your other friends, and even people who have never known you! I keep a blog, because … well, I’m your mom, and I guess God blessed me with the ability to write because he knew that one day that would be the only way I had to try to reach out to you, to try to find you. I don’t always write here myself, but even during those times when I am silent, you are never, ever out of my thought. There is never a day you aren’t missed, and there is never a time that the room you came to occupy in my heart on the day you were born is locked away. It’s always open. It’s always filled with you. And you can rest assured that this is just as true for the rest of your family as it is for me. Nana … well, I have mentioned this here before, but I don’t know if you have read everything I have ever written, or anything I have ever written, so I will tell you again. Nana passed away on October 10, 2004. She died of emphysema, and it was a peaceful death, at least watching from the outside. As one of my friends had described her mom’s death from emphysema, she just got more and more tired until one day she was too tired to get up. Three days later she was gone. I was sitting by her side at the moment she passed. Michaela, a few years before she died, Nana had been diagnosed with breast cancer. She told me that the first thing that passed through her mind when the doctor told her was, “Well, at least I will find out what happened to Michaela.” I know she had edited that thought for me. Her first thought had been that she would get to see you, because with as long as you had been gone, although we hoped, although we prepared and worked to find you, we have always understood that the probability was that you were not alive. It’s a tightrope we walk. As it turned out, she didn’t die from breast cancer. It had not spread, and she had surgery and radiation therapy and that was that. But until the day she died, Nana missed you also. Now, I guess she does know. Perhaps she is with you, I don’t know. If not, she is watching over you. But we are all here. If you come home, everyone in your family is waiting to put their arms around you and love you. If you can’t, or don’t … well, I will continue writing to you. But we all continue loving you and missing you. I thought about that also Julia. 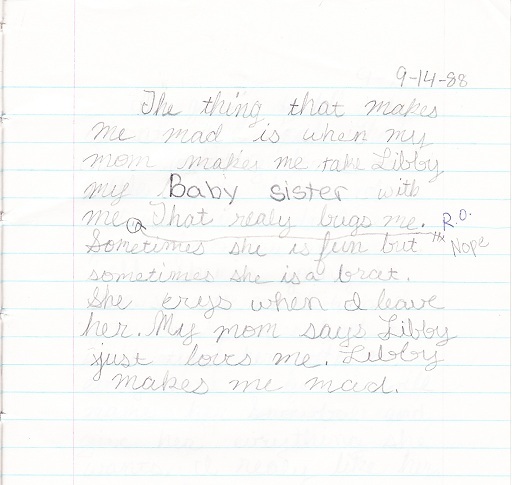 Even to this day Libby's heart is closely tied to Michaela. Thank you,Sharon,for letting us have just a glimpse into your family through pictures and words. Praying for Michaela and your family. Wow I thought Libby was Michaela at first. They look so much alike. Sharon, once and for all has the Garrido's been ruled out or not? The Legend of Zelda. If only we could reach into that game and yank the main character, Link, out of it. He's always able to solve even the most complicated of puzzles. I know he could find out what's become of Michaela. I wish that sort of superhero would come into your life. Did you hear that they found Wendy Camp, Renee Kregar, and Cynthia Britto! trio missing since 1992, 21 years after! wow I immediately thought about Michaela. I never thought cases that I knew about would be solved. Cause most of the time they are some that I have never heard about. I did hear that. They arrested someone didn't they? Yes the brother of Beverly Noe named Grover Prewitt has been charged with being an accessory after the fact in first-degree murder; the bodies were on his property and he'd allegedly buried them himself. what a family! Ida (who died in 2011) was once encarcerated with Beverly for arson charges, and charged in the 1980s with a unrelated murder. Sharon do you believe Michaela will be found? And does Richard guy have evidence(which should not be mentioned)that he is the prime suspect?? 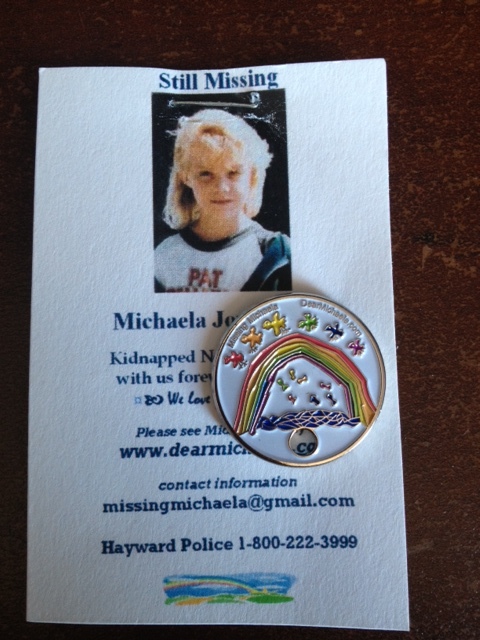 I hope Michaela will be found, alive. I have faced the possibility of her being found not alive a couple of times and even though it would bring about some closure I have honestly not been able to embrace that as a positive thing. As for Richarc Helwig, there is compelling evidence. However, there is compelling evidence for other suspects and scenarios also. That is what makes the investigation so difficult. If you hear the details of each individual lead you think wow, this must be it. But they can't all be right.